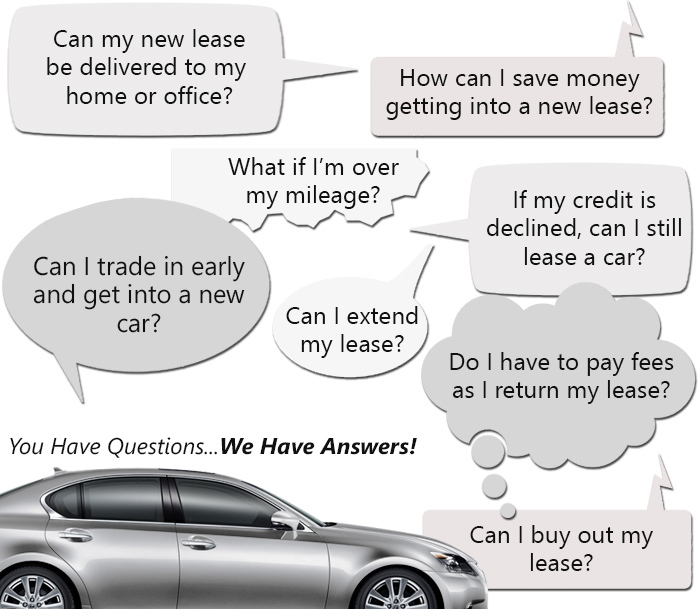 We will answer some of the questions we receive on a daily basis from our clients about our auto lease agency. Much of this information can be found on our website, such as the most current line of vehicles we carry in our inventory. If you cannot find what you are looking for on here or anywhere on our site, feel free to give us a call and a specialist will be happy to assist you. Call us at (718)-412-3453. Auto Lease Queens is an auto leasing service providing car leases for the local Queens community. Our respected auto leasing company strives to set up our customers with affordable auto lease rate plans. We are steadfast in delivering reliable service for our current and potential clients. Our proficiency and understanding of the automotive business guarantees our place as a trailblazer in the automotive leasing industry. For additional information, we welcome you to give us a call and speak with a professional or send an email at your earliest convenience. What makes Auto Lease Queens unique? We deliver reduced auto leasing rates for our clients because we decided to build our company platform exclusively online. We do not have a brick and mortar office as this reduces our overhead expenses. We do not believe in ripping off our clients to make money. Our reduced rates and optimal service bring the clients back over and over again. Speaking of service, our friendly sales professionals focus on finding the perfect match for our clients by presenting the pros and cons of similar vehicles. Once a decision has been made, we make an appointment for them to test drive the vehicle. We only proceed with the application process if the customer is truly satisfied with their vehicle choice. Give us a call today to speak with one of our reputable agents to start the application process to get you behind the wheel of the vehicle you want to lease today! Yes, you definitely can review your vehicle in person prior to leasing it. We prefer that you see it and get a feel for the car before submitting your application. If you do not like the vehicle you have chosen to test drive, then you are welcome to select another vehicle to try out. Although some of our clients know exactly what they want and proceed with their application process without viewing the car. You are welcome to go this route as well. Upon approval, the vehicle is delivered by one of our auto specialists. Our application procedure is easy, but if you have any questions or need someone to walk you through everything, then go ahead and give us a call. We look forward to hearing from you. Our leasing enterprise offers a complete inventory of the latest vehicles in the automotive industry. We have brands like Lincoln, Nissan, Land Rover, GMC, and Volvo. We also give our clients the freedom to customize their vehicles to their liking. For more details about the types of custom trim bundles offered for a specific vehicle, speak with one of our car specialists. We provide auto lease financing for our clients that need it for their car lease. All of our experts at Auto Lease Queens are highly qualified and will be able to point you in the right direction regarding your options for financing. Our car leasing contracts are tailored depending on our clients’ needs. For additional details, you can reach out to speak with us at (718)-412-3453.